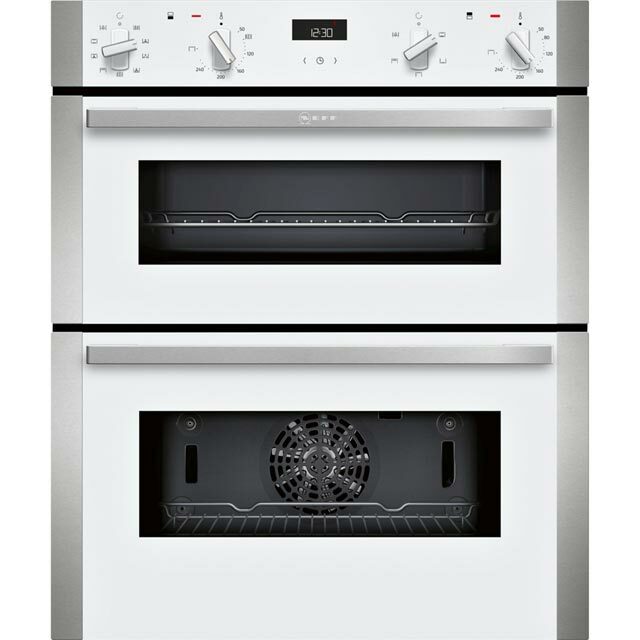 Get creative in the kitchen with this built under electric double oven from Neff. 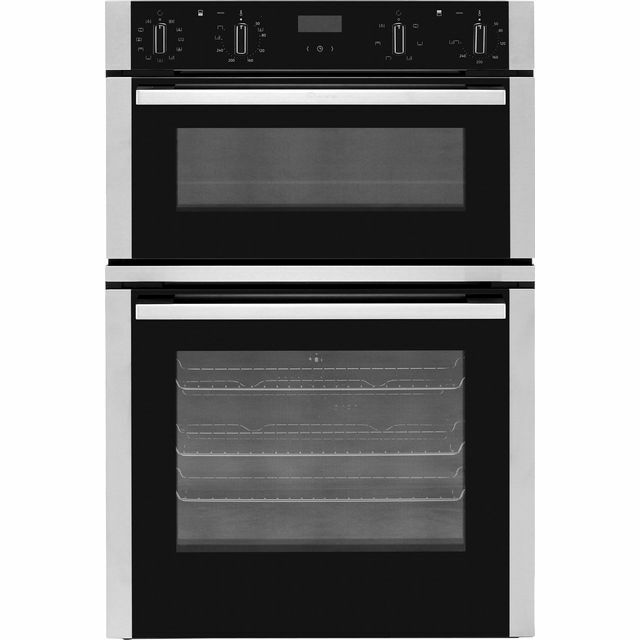 The main multifunctional oven gives you a range of different cooking functions to choose from, so you can perfect every exciting new recipe. 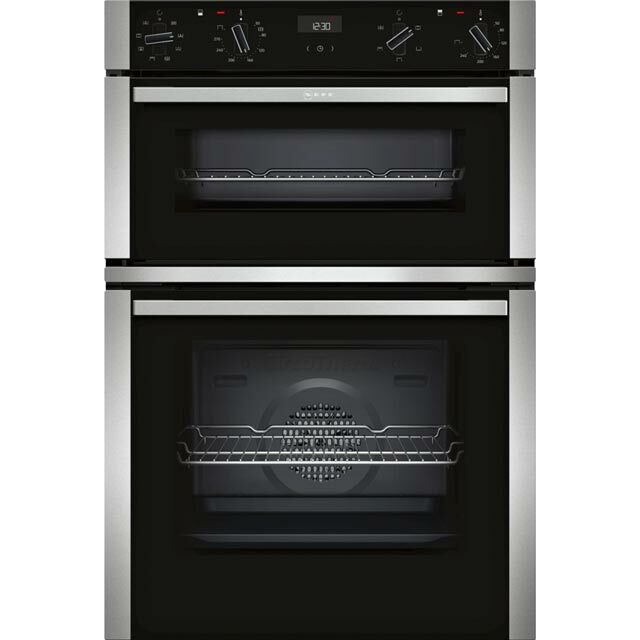 With the second conventional oven you can prepare your favourite traditional recipes, while the handy grill setting is perfect for adding that delicious golden finish to meals too. It also has CircoTherm® technology, which evenly circulates heat around inside, making sure every dish is thoroughly cooked no matter which shelf you place it on. Cleaning is effortless too, as the enamel interior wipes clean with ease. This model has also been designed to fit under a worktop. 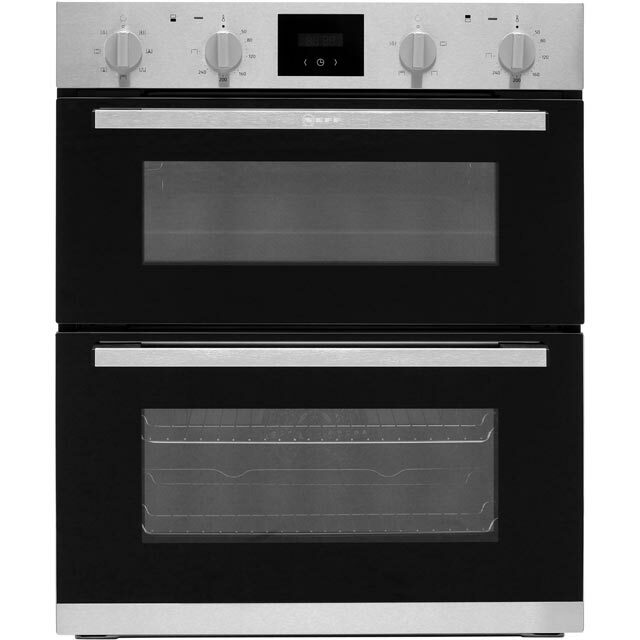 Want to make sure this built-under double oven will fit in your kitchen? Check out our handy measurement guide video. We’ll show you everything you need to know about measuring up in just a few simple steps, so your new appliance will fit like a glove. Disssappinted with this oven. Significantly smaller than expected. See other reviews. The grill pan also does not come with a rack like almost every other oven in existence.. also none available for this model from neff. Would return if this was not the only oven to fit in the space available. So pleased with this purchase. As expected overall look and colour is perfect. Good quality, appearance and practical. A little disappointed with the number of shelves. One shelf in the bottom and one in the top but has a tray like shelf would of preferred another rack shelf. Low noise when cooking, lights inside are bright and overall cooks lovely. Not used timer yet but I plan too. The oven seems to work well but the main cavity is so small an the controls are very plastic-y. 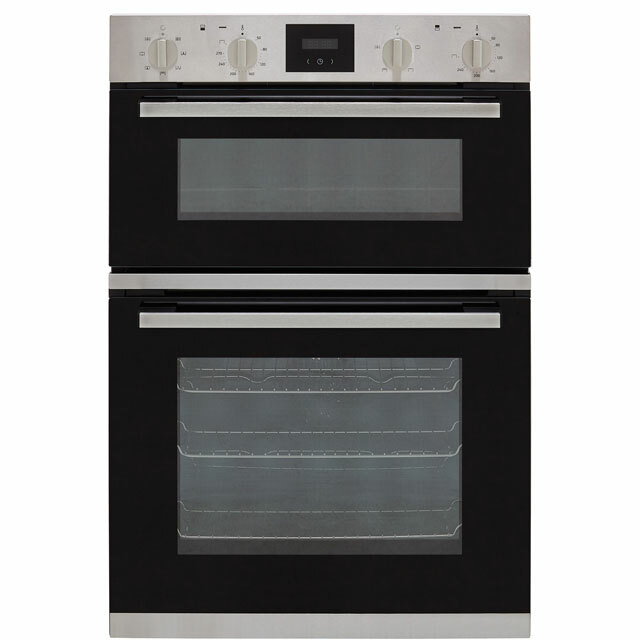 Listed by Neff as medium size, compared to our previous oven that was in the same space it is tiny. No big xmas meals at our house!